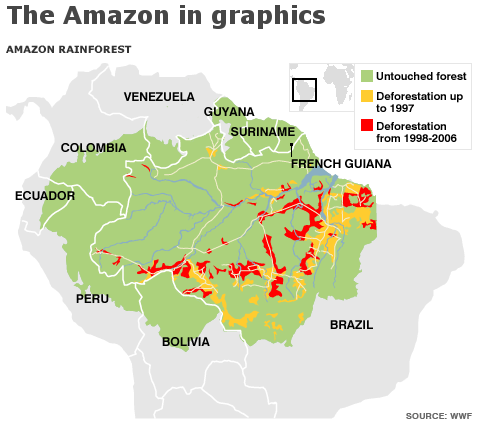 First stop, the Beeb on the trends in the Amazon: clear and concise data, and good graphics too. This is an exemplary example of how to get the data and arguments across. MONGABAY.COM provide the same data, but presented more attractively, plus lots of other information and news updates. 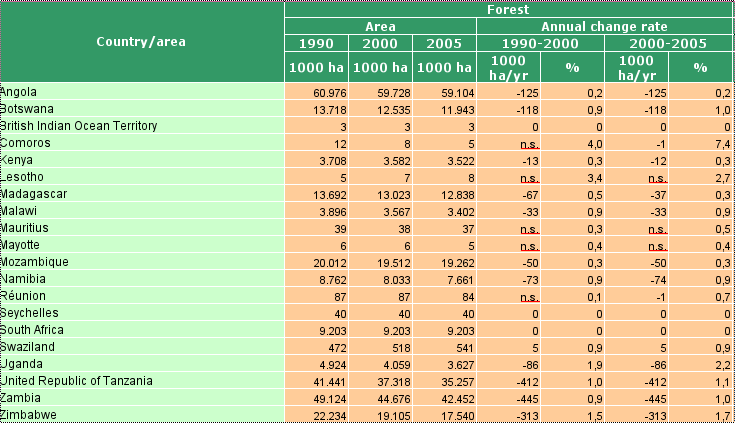 For example, the tropical deforestation data here. CIFOR host a Forest Spatial Information Catalog (sic) a “one-stop access to spatial publications, maps and other documents that will simplify the ability of all levels of visitors to find forestry related data“, which does seem comprehensive; however, the site does not appear to have been updated recently, and I cannot get the maps to open. Much of the data is sourced from the World Conservation Monitoring Centre. 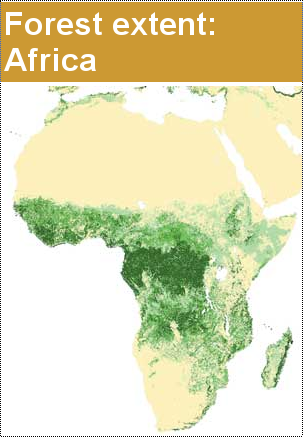 WWF have lots of in-depth information on different forest ecosystems, for example here on tropical & subtropical moist forests, with downloadable images and maps (see for example, below), and detailed descriptions of each “ecoregions” (within which there are further sources to explore). Remember that deforestation is very much open to interpretation, see for example my earlier post. More to the point I encourage you to produce more writings with a similar frame…. It’s unique, needed and of great benefit to the Earth’s Trees! Next Next post: Just how much did you pay for that forest?